Scrolling through my Instagram feed has involuntarily become one of my favorite 21st century pastimes. Aside from giggling at silly memes and watching the occasional hyperlapsed makeup tutorial, I stumbled upon an artist who really inspires me as a young woman. 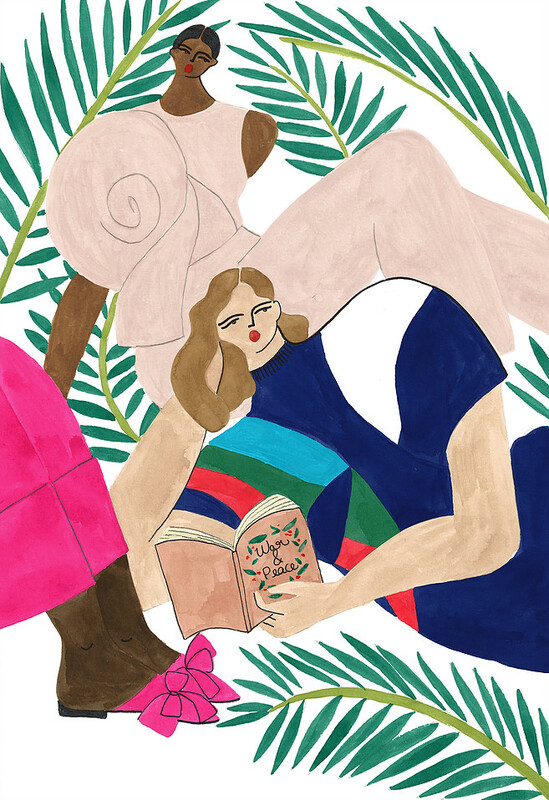 MEET ISABELLE MARTIN FELIU, a fashion illustrator residing in Oslo, Norway who refreshingly expresses her artistry through color, femininity and culture. HOW DID YOU GET INVOLVED WITH THE ARTS AND ILLUSTRATION IN GENERAL? I studied fashion design and I was always obsessed with fashion. In fashion school, we got a lot of illustration classes, but back then I never thought about it like a career option. It is only when I moved to Norway, almost two years ago that I started to illustrate more seriously. Being unable to find a job because I didn’t speak the language, and also because there isn’t so many jobs in fashion in Oslo, I just started filling up my free time with drawings and paintings. A lot of people! 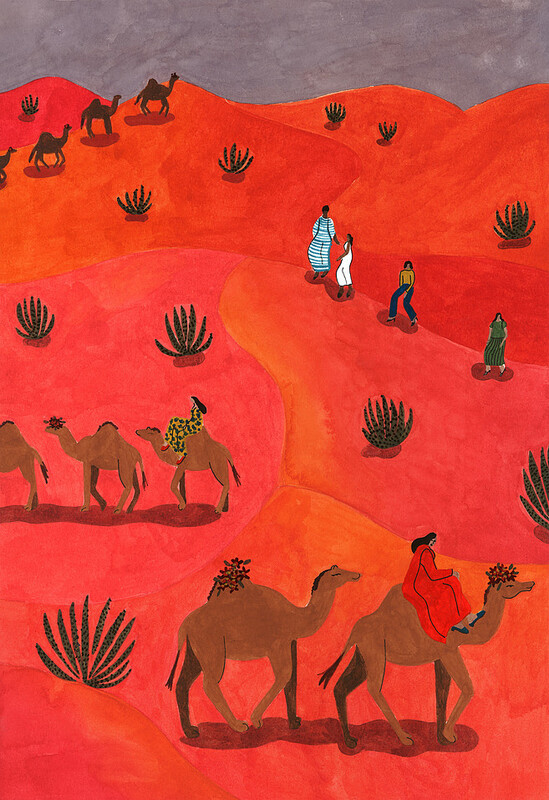 Many great artists like Matisse, Picasso, Gaugin, Sanyu, but also other current illustrators as Kelly Beeman, Karolina Pawelczyk, Blairz and Bodil Jane. Right now I am also very inspired by the vibes from Oroma Elewa and Rocky Barnes Instagram accounts. HOW DID YOUR PAINTING STYLE DEVELOP OVER THE COURSE OF YOUR ARTISTRY? When I first started making fashion illustrations in school, it was the typical long and skinny silhouettes, but I quickly became bored with it. When I moved to Norway and realized that I wanted to illustrate professionally everything went very quickly; I experienced with many medias for some months, including digital tools like Illustrator and Photoshop. However it wasn’t very fulfilling and I really had to ask myself questions about what I really liked to do, what aesthetics really spoke to me before I started developing the style I have today.
" I think there are so many strengths and beauty in cultural diversity, and that it could definitely be more valued in some countries." Casual, denim and neutral colors. DO YOU FEEL IN SOME SHAPE OR FORM THAT YOUR WORK REFLECTS THE TIMES? I think I don’t get very political in my illustrations. I like them to be light, but that being said, I like to illustrate diversity. Being myself the daughter of an Honduran Immigrant and being now an immigrant in Norway, I think there is so many strengths and beauty in cultural diversity, and that it could definitely be more valued in some countries. I personally feel so privileged to be born at a time were we can be in contact with different cultures in everyday life and travel easily. It is an endless source of inspiration. I would say women, I also like to include animals. DO YOU HAVE A FAVORITE FASHION DESIGNER OR COLLECTION CURRENTLY? I try not to hold on to any favorites, because it changes every season. These last seasons I have been in love with Vivetta and Delpozo. WHAT IS SOMETHING YOU'RE LOOKING FORWARD TO THIS SUMMER? Norwegian Summer can’t really be called a real summer weather wise, but we have extremely long days, the sun goes down around 11 pm in June. I love to have so many hours of sunlight to paint, so I look forward to that. From Left to Right: Vivetta; Yoga Friends; Tunesia; Delpozo.